Most of us live such busy lives, we never pause to consider our inner selves. We all need to fulfil that quiet, inner voice that longs for meaning. Here's a few ways that will help you look for purpose, without spending a cent. 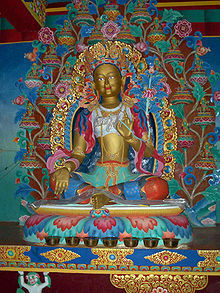 Tara Institute is a Buddhist study centre in the Tibetan Mahayana tradition. Offering classes, a bookshop, a dining room and a full program of Buddhist seasonal events, Tara is most widely attended on Monday nights, when Introduction to Meditation sessions take place. These consist of both teachings and actual meditation practice. On Wednesday nights, resident lama (spiritual teacher) Geshe Doga speaks on different aspects of the dharma (the law or teachings). He is an engaging man who resembles the Dalai Lama in his frequent giggles and monk's garb. An assistant translates his Tibetan. Most events take place in the Gompa, a huge meditation hall decorated with numerous paintings, flowers, flags and statues of various Buddhas. It's worth a visit just to see this colourful place. Three-course vegetarian dinners are served Monday to Wednesday nights. Bookings must be made by 3 pm on 9596 8900. It's said that the best way to help yourself is to help others. At the RSPCA, you can help four-legged creatures in a number of ways while enjoying the satisfaction that giving to a great cause offers. The Royal Society for the Prevention of Cruelty to Animals is best known for its shelters, where rescued animals are brought to be rehabilitated and, hopefully, rehomed. Unwanted, stray or injured animals stay here until matched with 'forever' owners. Victoria has shelters at Burwood East, on the Peninsula and several others across the state. Volunteers work in customer service, in fundraising or with events, which all help the RSPCA to run. But to get your hands on the animals, you'll have to be prepared for some hard work. 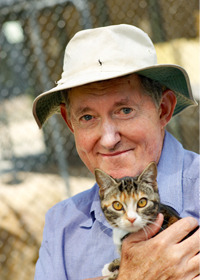 At shelter/adoption centres, volunteers clean animal pens, assist with grooming, walking and feeding animals. You might drive a van transporting animals or help with washing of dogs. At Burwood East, volunteers commit to four-hour shifts, weekly or fortnightly, for a minimum of six months. If interested, you must attend a volunteer information session, held three times a year. Bookings must be made online. 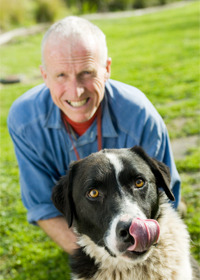 Click here for RSPCA Burwood East, here for RSPCA Peninsula shelter and here for other regions. The RSPCA also works on over a dozen animal issues - including battery hens and duck hunting - runs events like the Million Paws Walk, has fundraising op shops and an inspectorate which investigates cases of animal neglect and cruelty. 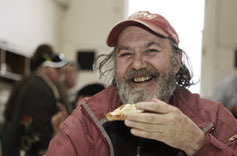 Sacred Heart Mission has offered help for the homeless, disadvantaged or socially isolated from its Grey Street, St Kilda, location since 1982. Retail: Six op shops spread around Melbourne raise much-needed money for the Mission. Volunteers help sort and label clothing or serve customers. You might also like to help with transport, picking up donations of goods. The op shops are professionally managed and sell great quality, interesting items. Meals: In its dining hall, the Mission serves over 500 meals - breakfast and lunch - every day of the year. Volunteers help prepare, serve and clean up. Aged care companion: The Mission runs two aged care hostels housing 83 residents. 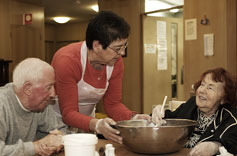 Volunteers visit residents fortnightly, providing companionship and a sense of community. Together, you might go for coffee, have a chat or go for a walk. Sports and recreation: The Mission's sports activities include golf, football, basketball and bowling. Volunteers assist with helping run this program. Clinic The Mission's professional clinic provides discounted or free services to people in need. It offers massage, physiotherapy, acupuncture, podiatry, optometry, dental, hairdressing, counselling and chiropractic. If you are qualified in any of these fields, your help is most welcome. Reception/administration: Help in the office with general duties. Prospective volunteers need to attend a volunteer information session. The dates for 2012 can be found here. You then nominate what area you'd like to volunteer in. 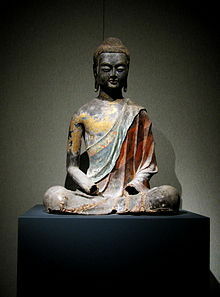 Mindfulness is a technique in which a 'non-choosing awareness' is cultivated. Adapted from Buddhism by pioneers Jon Kabat-Zinn and Jack Kornfield, it's used in the West by psychologists to help treat pain, depression, stress, addictions and anxiety. Mindfulness involves cultivating open-hearted, non-judgemental awareness, which sounds much easier than it is. The most common technique is to sit or lie comfortably for a set period each day and concentrate on your breath. That's all. Just observe the sensation of your breath coming and going. If your mind wanders, simply note where your attention's gone and gently draw it back to the breath. Your awareness of the breath might be in your nostrils, your belly or chest. Stay focussed on that place for the duration of the session. How long should you meditate? Experts recommend starting with a little - say, five minutes - building up to 15, 30 or even 60 minutes. Needless to say, you should try and do it regularly and in a calm, restful place. Even if you don't feel like you're progressing, the mere practice of meditation is doing you good. Its purpose is not to 'achieve' anything but to anchor you in the 'now', which may help you cope better with the stresses of life. If you need a teacher or a guidebook, Melbourne Meditation Centre runs mindfulness classes, as does the Council for Adult Education. The Theosophical Society Bookshop has plenty of titles to choose from. With mindfulness practice, you may look at your problems differently and even achieve a measure of inner peace. Cost: Tara Institute dining room: main only $10; soup with bread $5; dessert $5. Monday meditation: free. Wednesday teachings $5. Retreats and other programs: see website.